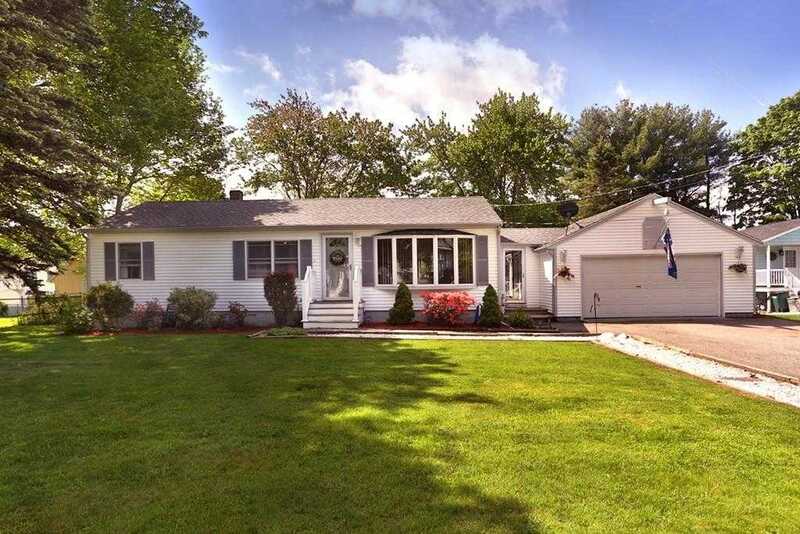 Nestled in the desirable Turkey Hill neighborhood, this open concept ranch allows for the ease of single floor living with the option of additional square footage in the finished basement. The eat in kitchen includes upgraded granite countertops, an extended island for maximum storage and stainless steel appliances. Your very own crystal clear in-ground pool lines the back of the property leaving plenty of lawn space for gardening and entertaining. The roof, siding and back deck have been updated in the last few years. A substantially sized mudroom connects the home and garage so even on the snowiest New England day your transition home can be warm and dry!